This first post is the first in our series on 3D printing, or additive manufacturing, and its impact on the supply chain and logistics arenas. As more and more stories come out on the main stream use of 3D printing as a way to create supplies to use in the manufacturing process, there is clearly an impact on the supply chain. 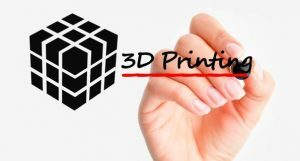 Today we will briefly cover what is 3D printing, how some view the future implications of 3D printing in general, some applications we’ve come across in various stories, and then a brief touch on the impact of 3D printing use as it pertains to logistics and supply chain applications. This series could be a two or three part series, but it could be longer. Stay tuned over the next few days for more on 3D printing and the impact on the supply chain and logistics.